Your list is delightful, I downloaded the christmas cd of She-him, is a lovely album, ideal for a quiet and vintage night XD. I also wish a record player, but here is kind of dificult to find. 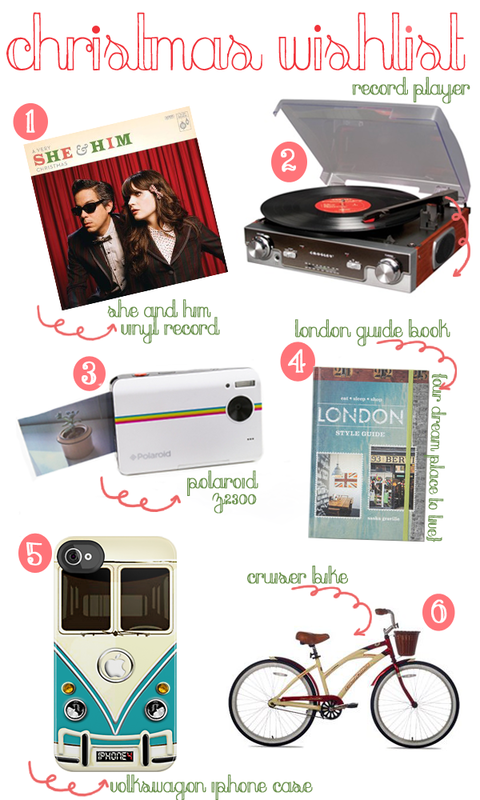 I was just talking to Nick about a She & Him Christmas! And oooh, that iphone case is soo cute. I love them!!! Isn't that case super cute!! That iphone case is super awesome. That I phone case is so cute...I don't a have an I phone..shucks. That turntable is the best...I just bought a seventies original from a used furniture store. I must know where that one is from. Going to look now. dawn suitcase vignettes xo See you Thursday! !